The 1st International Conference on South East Asia Studies, ICSEAS 2016, was hosted by Badan Penerbit dan Publikasi Universitas Gadjah Mada, Yogyakarta, Indonesia. This conference intended to bring out the challenges which come from the decrease of absolute poverty and the problems it poses to an open forum in a way researchers could exchange their ideas freely in order to fundamentally help put the challenge of the twentieth century for the region in a clear perspective. ICSEAS 2016 invited 23 international speakers from Australia, Indonesia, Japan, South Korea and the United Kingdom that highlighted the recent developments in the specific area through speech, parallel and plenary sessions. ICSEAS 2016 also invited 19 researchers from related ﬁelds to referee ICSEAS 2016’s manuscripts. After a careful refereeing process, the Scientific & Editorial Board have selected 36 manuscripts from over 150 registered presenters. 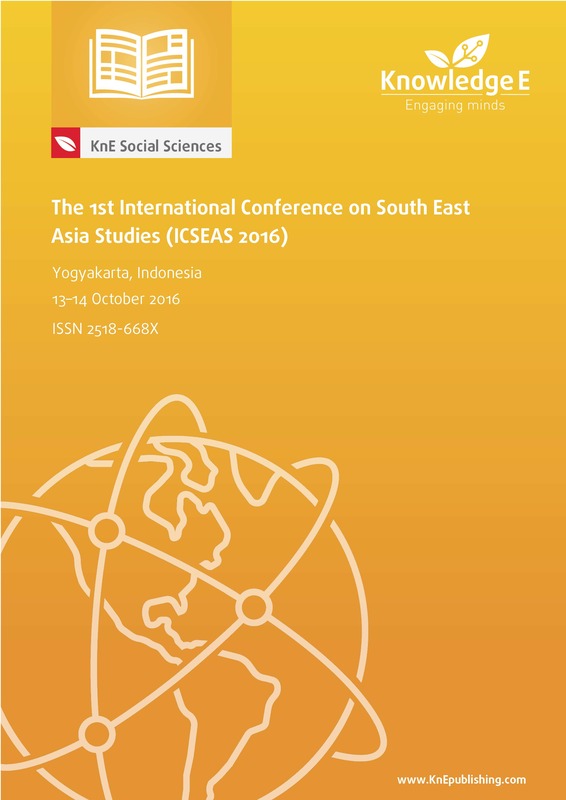 These selected manuscripts reflect the seven themes of ICSEAS 2016, including pluralism in a democratic Southeast Asia, challenges to democracy, welfare and poverty in an unequal society, equality and new categories of discrimination, climate change and its challenges, food security and the future of Southeast Asia, and challenges to border security. Editing process in this proceedings involves experts and professional editors from five countries (Indonesia, Latvia, Singapore, Sweden, and Thailand). Indexing: The ICSEAS 2016 Conference Proceedings are indexed in Web of Science (by Clarivate Analytics, formerly Thomson Reuters and ISI).